Order here! Scroll down to read more details. Pick your arrangement type. Sales tax will be added to your final invoice. Please select your preferred pickup time. Thank you for your order! You'll receive an emailed invoice for your requested item within 2 business days. Please contact info@whirlygirlflowers.com with any questions. I'll admit - I've been dreaming about Valentine's Day flowers since LAST January. At the time, I wasn't sure what Whirly Girl Flowers could look like here in Sheridan, WY. 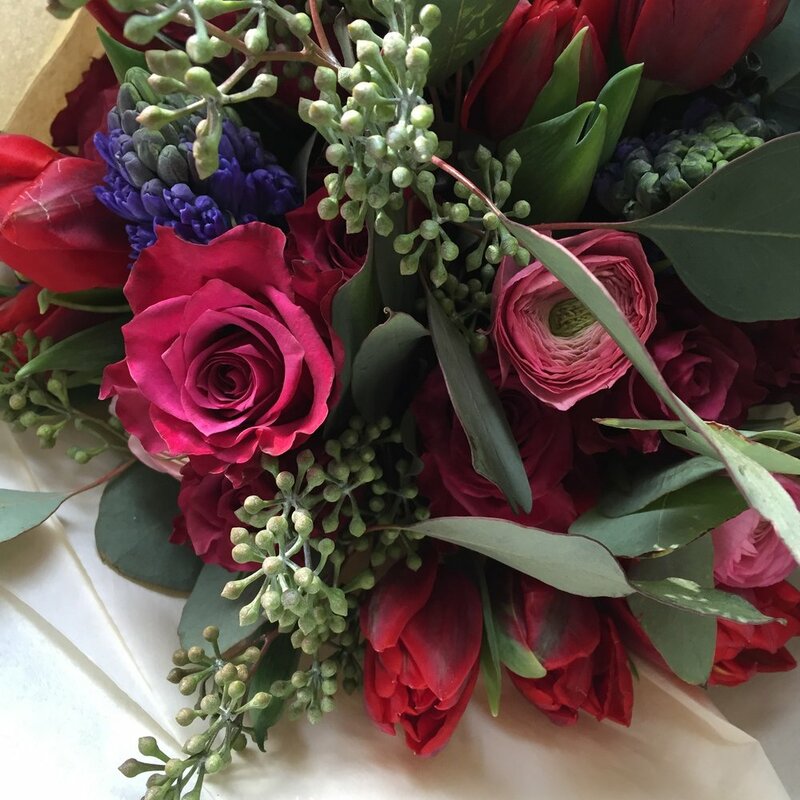 After an incredible year meeting you all, sharing gorgeous flowers at classes and pop-ups, creating one of kind bouquets for some wonderful and trusting brides - I think we're ready to tackle this flower filled holiday together. While I have a very soft spot in my heart for roses, I won't be offering a dozen red roses this year. I will be offering something romantic and fun, full of my favorite spring colors and high-end flowers. I'm asking you to trust me and your feelings and create something just for your love. Need me to remind someone special not to forget? Drop me their email or phone number and I'll happily provide a reminder. Offering pickup in Sheridan starting at 5pm on Tuesday, February 13 or Wednesday, February 14th. Details on pickup location to follow with order. Deadline to order is midnight on Wednesday, February 7th. Complete the form below to get started - I can't wait.